Community figures in Eastbourne were thrown behind bars for heinous crimes including dad dancing and bad grammar as part of a event to raise money for St Wilfrid’s Hospice. 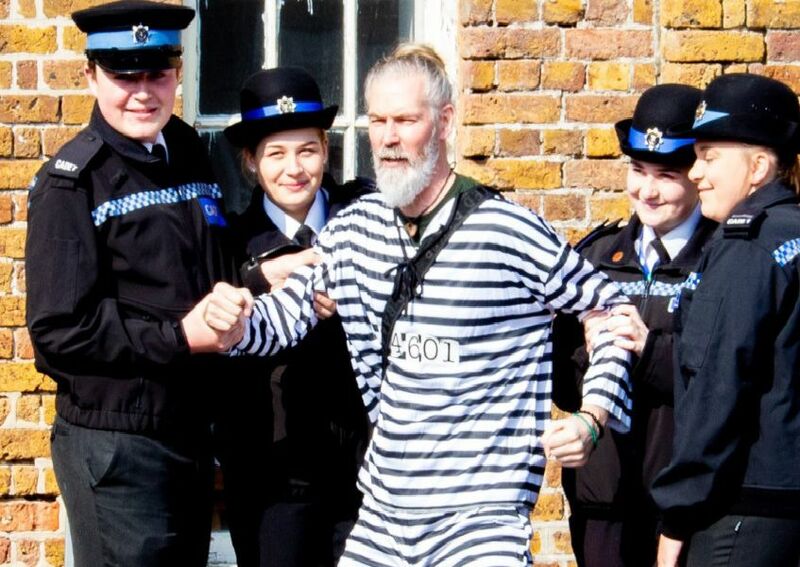 The hospice held its Jail and Bail fundraising event at the Redoubt Fortress on Friday (March 29), with each prisoner asked to stump up £1,000 for the charity in “bail money” – or else face a lengthy prison stay. An angry mob gathered to watch officers and cadets from Sussex Police make the official arrest of Eastbourne’s most wanted. Collectively the motley gang of hospice hooligans hustled, begged and borrowed to meet the event’s £16,000 fundraising target.